We have enjoyed eight years of full time motorhome travel. We are by no means setting any records. Just last week in Los Algodones, Mexico we parked next to two couples. One couple was in the 16th year of fulltiming and the other 20 years! However we have learned that most fulltimers while living in the motorhome fulltime are not traveling as we are. 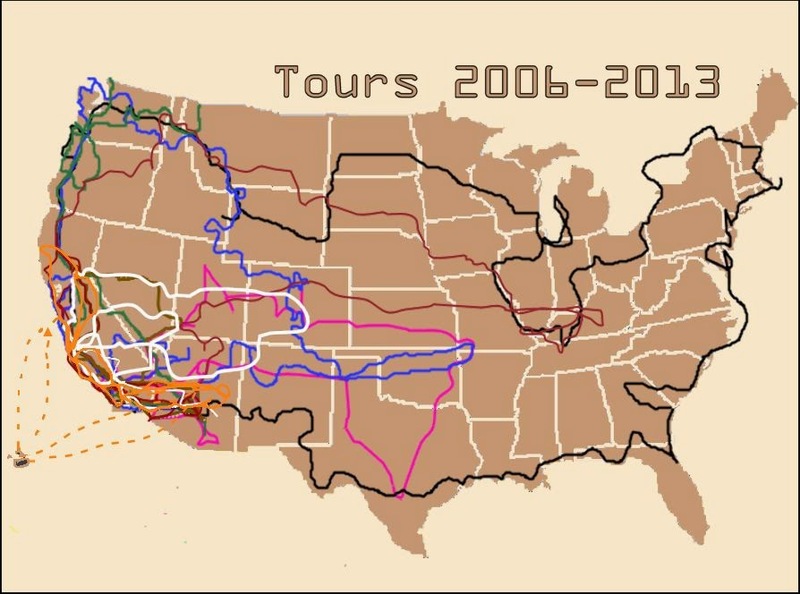 Most take a couple of years to tour the USA and Canada and visit all the famous places they have heard of. Such as Niagara Falls, Mount Rushmore, Yosemite and Yellowstone National Parks. Then they settle in to live in usually two places, one in the South for the winter and another for the summer. Or one in the winter and full time travel during the warmer months. We didn't know that's what we were supposed to do, so we have kept on moving! Here are our last eight years of bread crumbs.